Fast, Efficient Service for all your trucking needs. Highly trained, highly motivated team of mechanics. 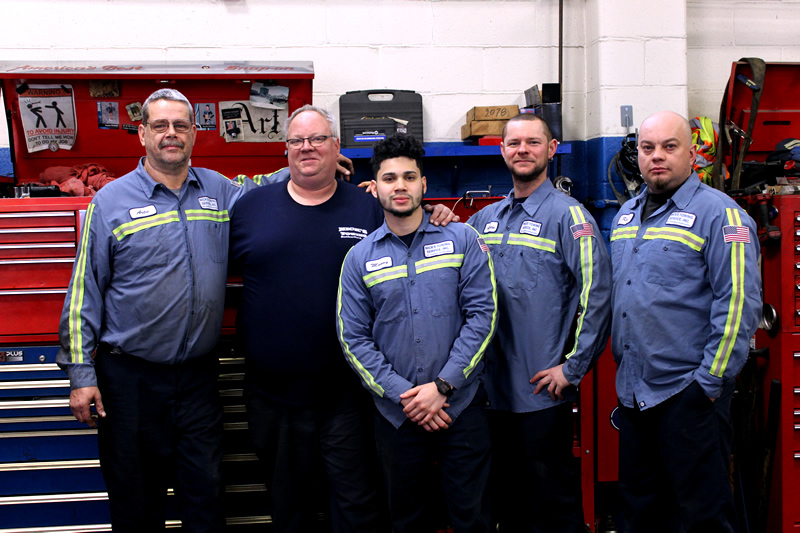 One of the most well respected truck facilities in New Jersey. 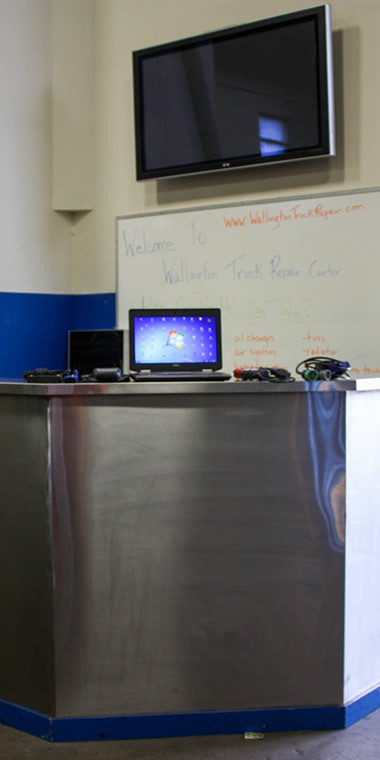 Here at Wallington Truck Repair, we deliver rapid road service for your rigs. 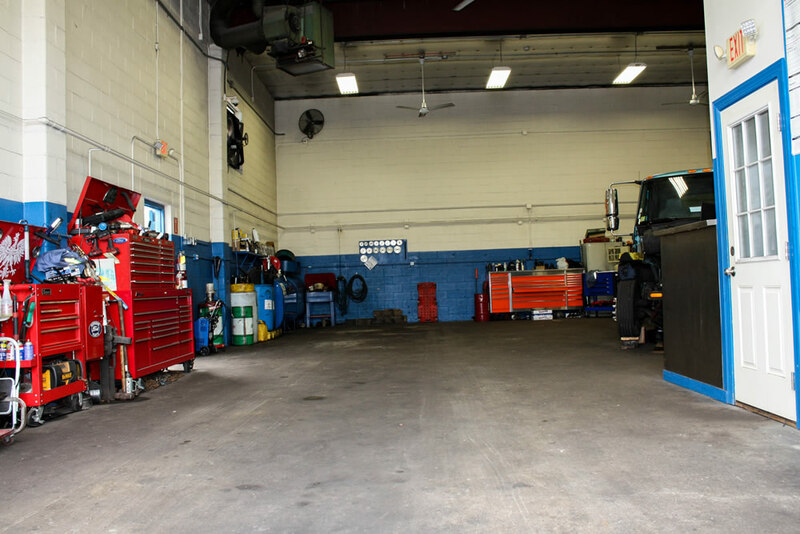 We perform repairs wherever you need us- broken down on the road or at our conveniently located truck repair facility. 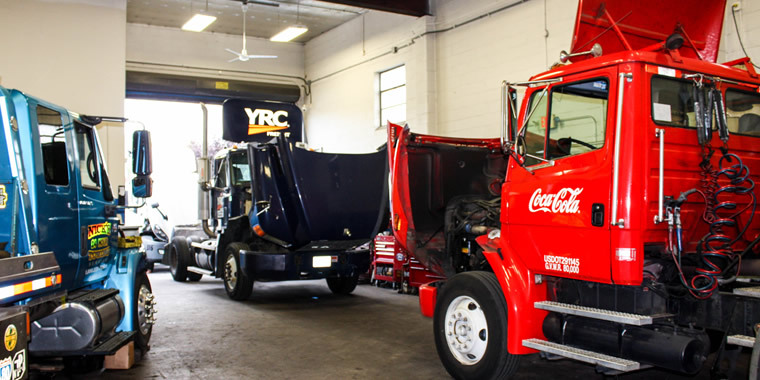 Whether we are doing a brake adjustment, performing a regen on your truck with our computer diagnostic equipment, handling a fuel leak on a truck or getting your truck up and running on a bitter cold morning, you can be assured we will get the job done right. 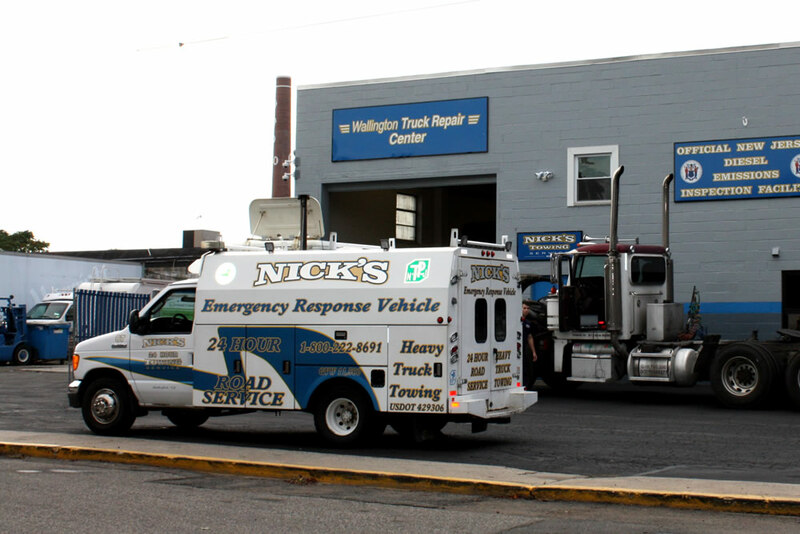 Wherever you breakdown- locally or out of state, on a side street or the Turnpike, Wallington Truck Repair will have your trucks, trailers, straight-jobs, or other heavy duty equipment up and running in no time. We’re happy to help! We have all the programs necessary to take care of your trucks including: Cummins Insite, Diagnostic Link, ServiceMaxx, IDSS, CAT PW Generator, Automotive Expert, Hino Diagnostic, JPRO Commercial, SIS, INTELECT Programs, PCDiag, PFDiagnose and CBT. 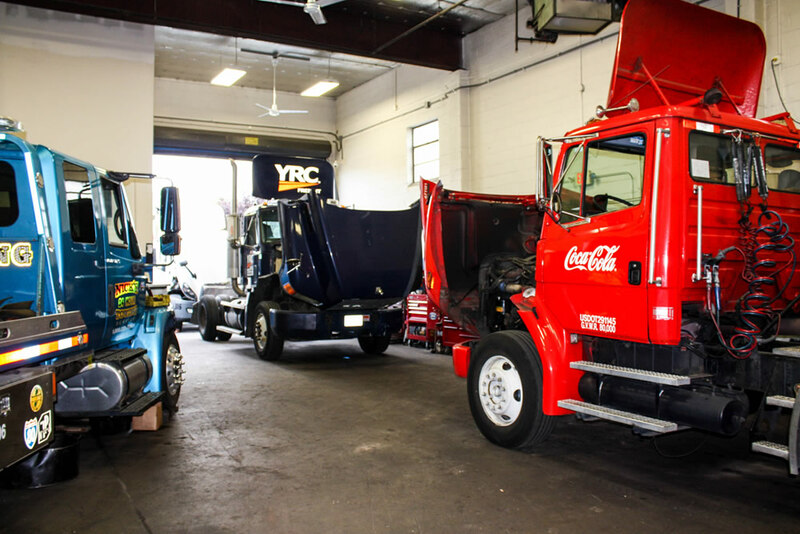 Our certified technicians continuously train and learn the latest trends in truck repair to deliver successful diagnostics for your truck repair issues. 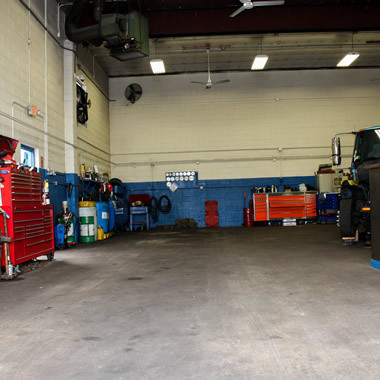 Our state-of-the-art facility has all the necessary equipment to get your truck up and running as quickly as possible to start earning again for you. When you have an engine problem, give us a call to diagnose and repair any issues. From turbos to injectors and EGR coolers, we can help with any component failure you may experience. 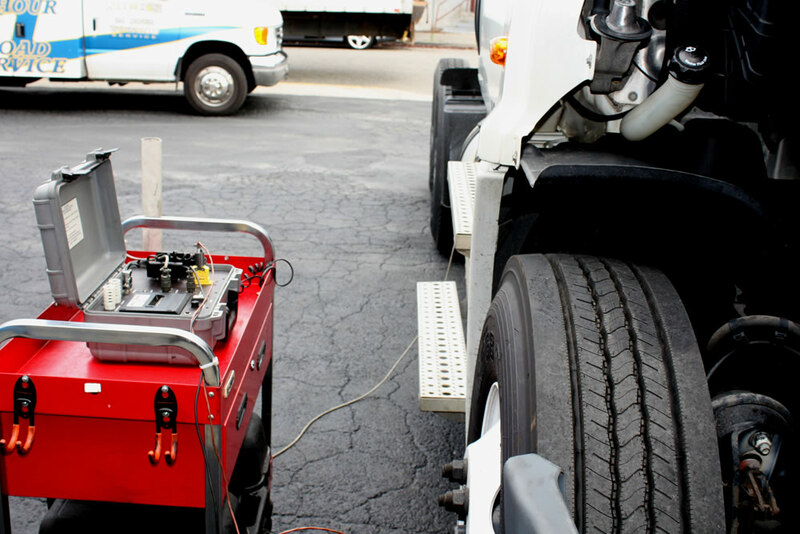 From welding services to trailer repairs, our business provides quality services on the spot. In addition to truck repairs and services, our business provides great workmanship for heavy equipment. We’ll even travel to construction and farming sites to service all equipment makes and models! Contact us for mobile truck repairs, trailer repairs, and welding services. 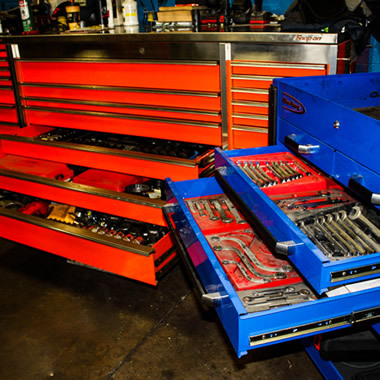 Preventative Maintenance Service (PM Service) is an important key to the longevity and health of your truck. Grease and oil leaks, non-working headlamps, tail lamps and turn signals, and missing or defective lighting such as retro-reflective striping or projecting lighting such as rotating beacons on oversize loads are some of the top DOT violations. 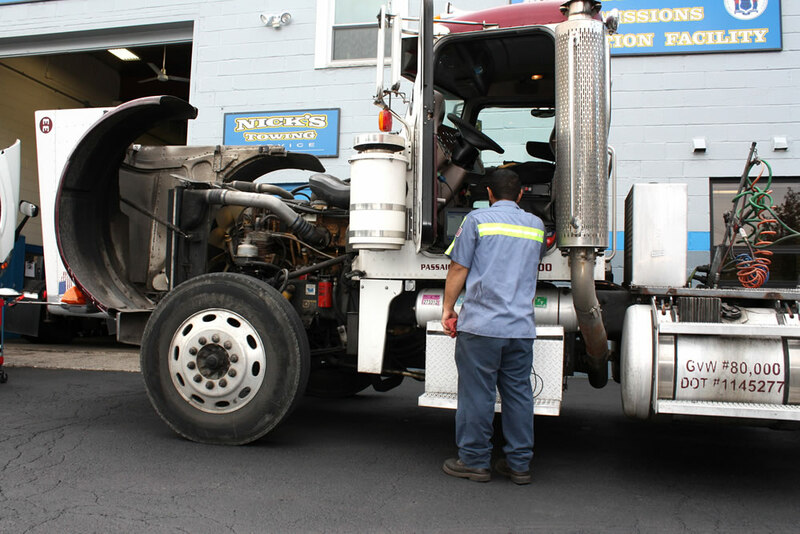 Whether it’s a PM Service or prepping you truck for the winter season, our mechanics will inspect your truck to identify problems before they become a costly breakdown or DOT violation that negatively affects your carrier record. We provide towing, recovery and transporting services for most commercial vehicles, including tractor trailers, straight trucks, fire or emergency vehicles, construction equipment, cranes, dump trucks, buses, motor homes, armored trucks, etc. 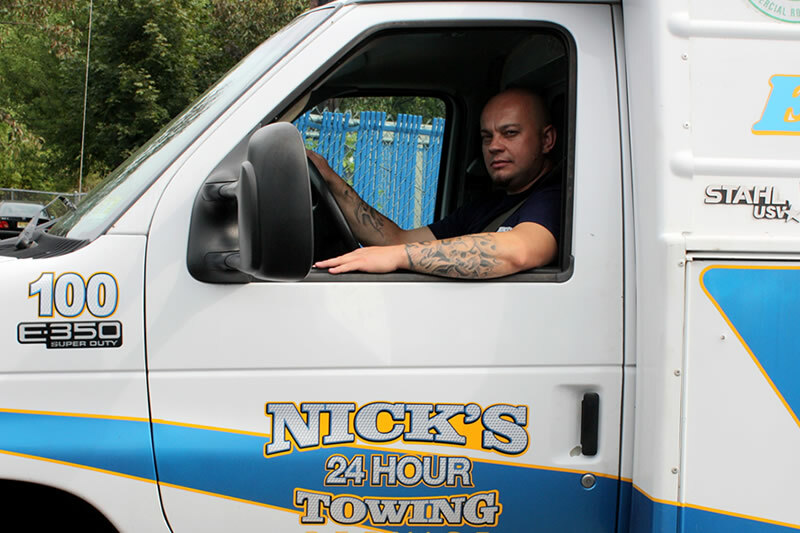 After 40 years serving in the towing and recovery business there is virtually nothing we haven't encountered, both in equipment or situation. We also offer contract fleet services. We can handle all aspects of your drive line care and maintenance from clutch replacement to transmission work, driveshaft repairs, and differential replacement. Our ASE certified and trained technicians will use our state of the art equipment to repair and recharge your air conditioning system to keep you cool on these hot days. Check engine light on? Don't think you have to go to the dealer for repairs. We have the latest computer diagnostic equipment and training necessary to diagnose a problem, get it fixed and that engine light off your dash! Brakes out of adjustment is one of the top Out-of-Service tickets given by the DOT. 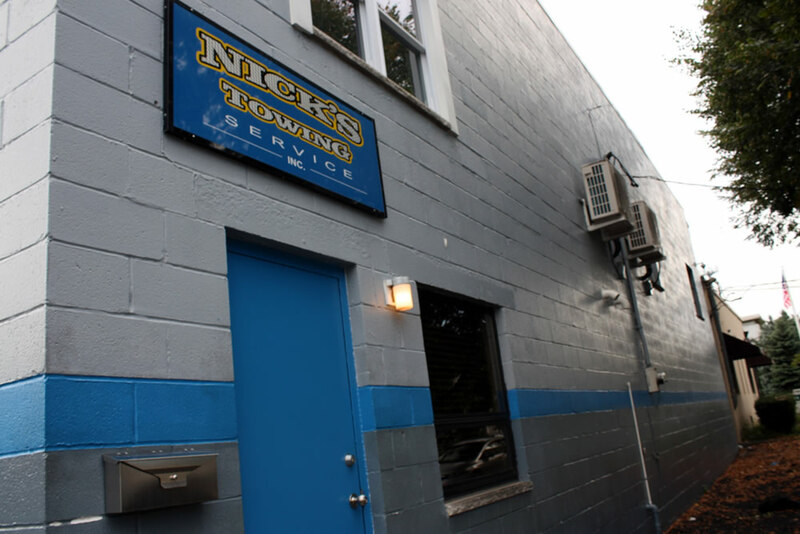 Our technicians are trained in both hydraulic and air brake repairs, whether it be a brake alignment issue, brake chamber replacement, air valve problem, air governor problem, brakes locked up on your truck or trailer, or a complete brake overhaul. Don't let a cooling system failure leave you on the side of the road. We can inspect your radiator, belts, and water pump and provide all needed repairs. 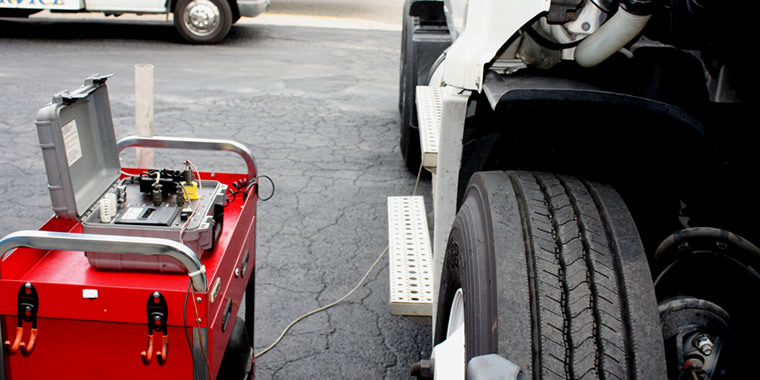 For all commercial motor vehicles, an annual state inspection is required by the Department of Transportation. We can perform this inspection and any repairs needed to bring your vehicle to compliance standards. There’s nothing worse than trying to get your trucks out of the yard in the morning, with a full day’s work, only to encounter a dead battery, starter, alternator problem. Let us help! 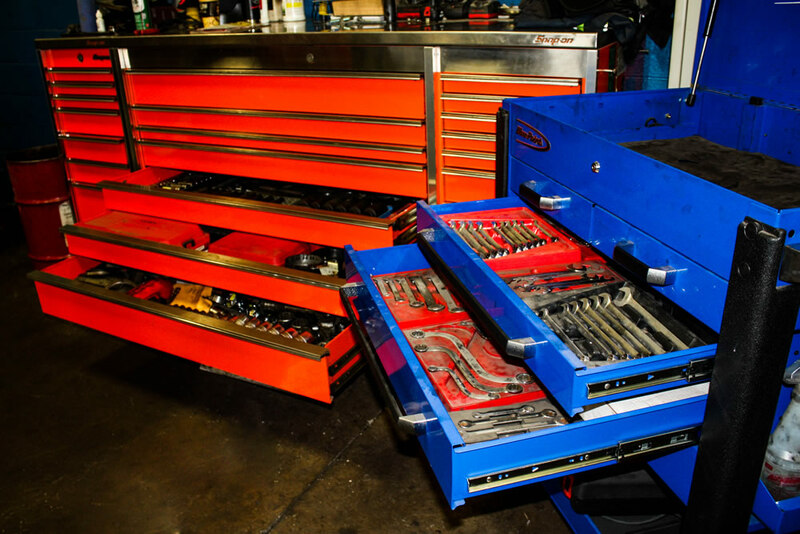 We keep a full line of these parts in stock so we can get your truck going as quickly as possible. "Great staff and fast, friendly service. They have all the equipment to get the job done right. You will not be disappointed." Rich has diesel running through his veins! 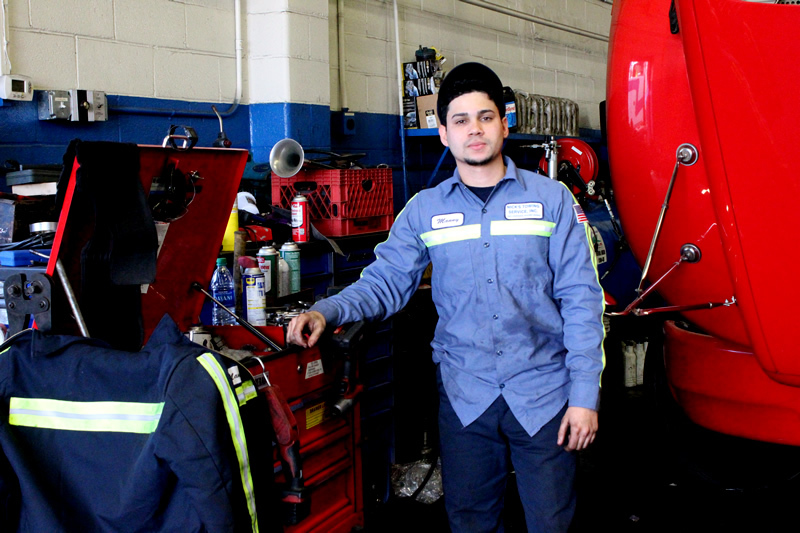 His family owned a truck repair facility and he grew up in the business. He starting turning wrenches at ten years old and is extremely well versed in all aspects of diesel mechanics. He’s seen it all and we’re happy to have Rich as a key part of our team. Andrew's previous experience includes working as a diesel mechanic for Prospect Petroleum. He’s been turning wrenches since 2001. Certified to repair brakes, fix air systems automatic/manual transmissions, and clutches, we are more than pleased to have Andrew join us. Kris started his mechanical career by performing bus maintenance in 1999. In 2006, he went to Detroit Diesel where he gained his internal engine and overhaul experience. 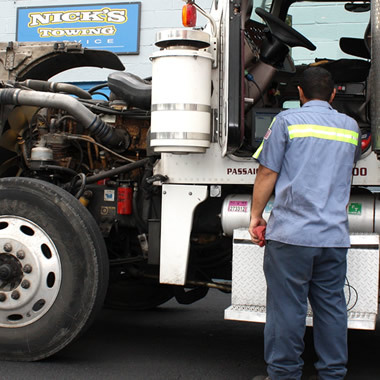 He is well versed in all aspects of Heavy Duty Truck and Roadside Repairs. 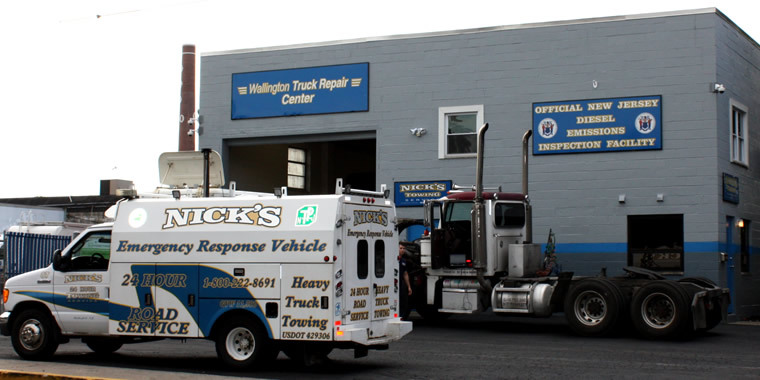 Artie has been with the Nick’s Towing Service and now Wallington Truck Repair teams for the past 16 years. He is a highly skilled and experienced mechanic. 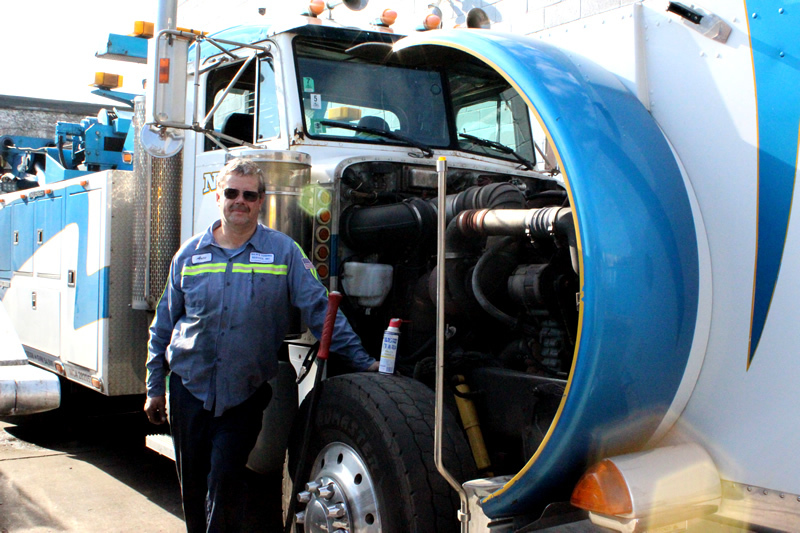 Artie’s training began in 1975 with a five year diesel mechanic apprenticeship in Canada. 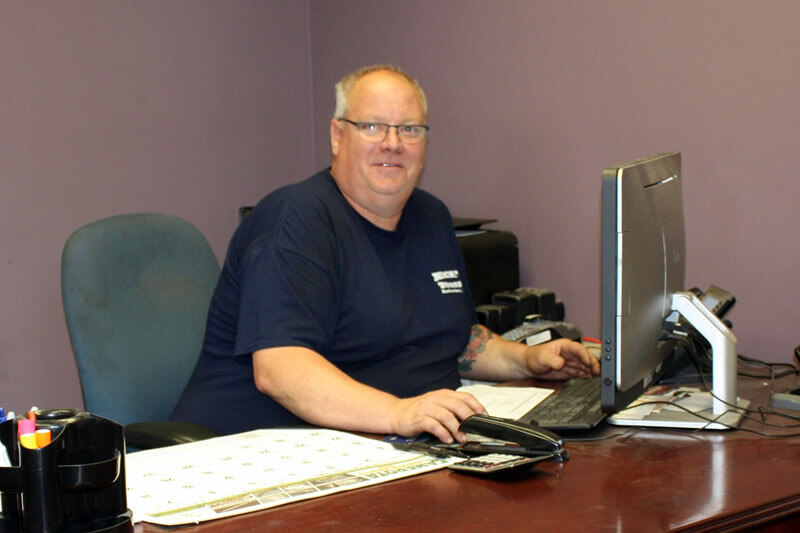 Artie is an integral part of keeping the wheels rolling on our trucks as well as those of our customers. Manny is the newest member of the WTR team. He graduated with a degree from Lincoln Technical Institute and worked at Coach USA prior to joining us. His forte is electrical systems and is enjoying learning with our veteran team. 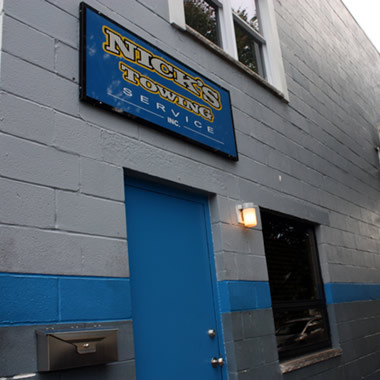 At Nick’s Towing Service, Inc. we are guided by a set of values and principles, honed by the members of our family since 1972, that empower our staff to provide you with fast, courteous, efficient service 24 hours a day, 365 days a year. ©2017. All right resrved. Website Design and Marketing by NextGen Solutions llc.